Neptune Green Woods Cove in Sevasi, Vadodara by Neptune Realty Group is a residential project. 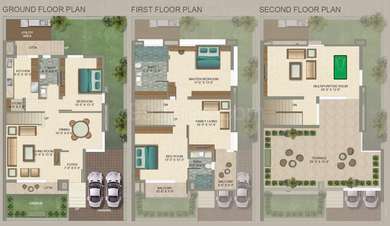 The Villa are of the following configurations: 3BHK and 4BHK.  The size of the Villa is 2550.0 sq.ft. Price starting from Rs. 1.10 Cr. Neptune Green Woods Cove offers facilities such as Gymnasium.It also has amenities like Jogging track and Swimming pool. This is a RERA registered project with registration number PR/GJ/VADODARA/VADODARA/Others/RAA01270/100118. Bank loan approved from HDFC home loans, ICICI, State Bank of India, Bank Of Baroda, Kotak Mahindra Bank and AXIS Bank LTD. The project is spread over a total area of 1.97 acres of land. It has 30% of open space. The construction is of 2 floors. An accommodation of 34 units has been provided. You can find Neptune Green Woods Cove price list on 99acres.com. Neptune Green Woods Cove brochure is also available for easy reference. Where is Neptune Green Woods Cove located? The project is located in Sevasi, Vadodara. How much is the actual area of Neptune Green Woods Cove?The area of the project is 1.97 Acres. Does Neptune Green Woods Cove have badminton court? The project doesn't have a badminton court. Does Neptune Green Woods Cove have gym? Yes the project has a gym. What is the approval status of loan from Neptune Green Woods Cove? HDFC home loans, ICICI and 4 more banks have approved the project for home loans. Is Neptune Green Woods Cove vastu complaint? The project is not vastu complaint. projects using constant innovation, they strive to surpass all standards of comparison within their arena.